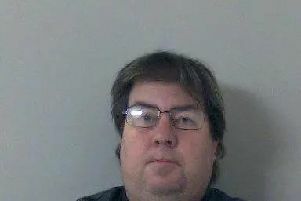 A man has been jailed for five years for causing death by driving whilst over the specified drug limit. Omar Shah, 24, of Havelock Street, Aylesbury, pleaded guilty to three counts at Aylesbury Crown Court following an incident in August 2016 when he was driving a Mercedes ML55 on the Cublington Road in Aston Abbotts. Shah lost control of the vehicle on a bend and collided with a tree. As a result of the crash a 21-year-old man from Aylesbury, who was a passenger in the rear of the vehicle, was pronounced dead at the scene. Shah claimed that another man had been driving the car and that they had made off from the scene, leading to an extensive search of the area involving significant police resources. Further investigation through CCTV and extensive forensic enquiries proved that Shah was driving the car despite his denials. Blood samples taken showed that Shah was driving over the specific limit for three drugs - benzoylecgonine (BZE), cocaine and cannabis. Shah was charged in June 2017 with three counts of driving without due care and attention whilst over the specified drug limit. As well as the prison sentence, he has been disqualified from driving for seven and a half years. Investigating officer PC Victoria Jones said: “I am pleased that Shah has been convicted and sentenced. “Omar Shah has made this an unnecessarily protracted investigation and only at the last moment admitted what he had done. “He made the decision to get behind the wheel that night knowing he had consumed a large quantity of drugs. “He showed a blatant and reckless disregard for the law, the safety of his passengers and other road users. “My thoughts remain with the family of the victim who are still trying to come to terms with the loss of their son.